Lesions in the Landscape by UK/Danish artist Shona Illingworth is a powerful new multi-screen installation, exploring the impact of amnesia and the erasure of individual and cultural memory. Also: For one night only, the galleries will be open later than usual for you to explore the exhibition, and there will be a FREE, drop-in Minecraft workshop happening in FACTLab in the foyer! All ages welcome. Revealing the devastating effects of amnesia on one woman and the striking parallels with the sudden evacuation of the inhabitants of St Kilda in the North Atlantic in 1930, the work examines the profound effect and wider implications of memory loss on identity, space and the capacity to imagine the future. Lesions in the Landscape opens at FACT (Foundation for Art and Creative Technology) in Liverpool and tours to Sydney Australia, the Outer Hebrides, Scotland and finally to London, where there will be an international symposium in October 2016. Both mark an abrupt and irreversible lesion in a cultural landscape. Accessing or reconstructing the past is a process fraught with difficulty and both share a sense of isolation. 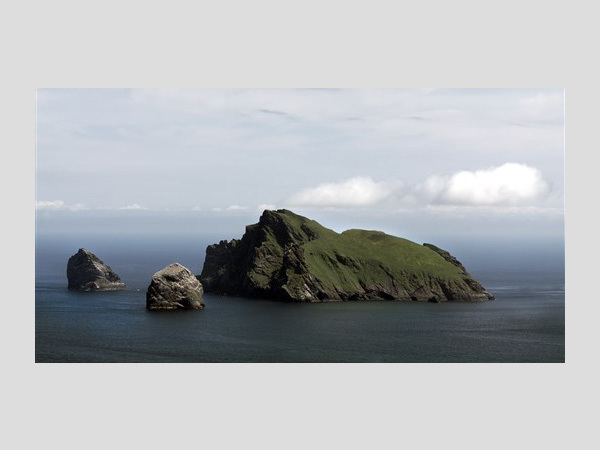 They are both now the subject of scientific inquiry, St Kilda as an outdoor laboratory for scientific investigation, a carefully preserved heritage site and a radar tracking station for complex military weapons testing, and Claire as the subject of major neuropsychological study. And in each case, the past is continually constructed by others. For the project, Illingworth took Claire to St Kilda, where she filmed her in this intense landscape. The installation presents three video projections and an array of up to twenty loud speakers to create a fully immersive sound environment of voice, engineered and ambient sounds. They form a richly layered composition where the sounds of thousands of calling gannets is underscored by intermittent sounds of EEG signals which capture the desolate internal landscape of Claire’s amnesia as she struggles to search for her own memory of this environment. An ongoing series of Amnesia Forums examine the politics of memory, amnesia and cultural erasure through discussion between invited artists, scientists, writers and researchers. This feeds directly into the Amnesia Museum, a growing body of works which map out the landscape of amnesia. It draws together film, photography, drawings and documents, and will be shown alongside the installation. Also included is a 32-speaker sonification of Claire’s EEG, as well as neuropsychological diagrams describing the impact of the lesion on her memory. After premiering at FACT, Lesions in the Landscape will tour to the UNSW Galleries, Sydney, Australia, Taigh Chearsabhagh Museum and Art Gallery, Outer Hebrides and finally to Dilston Grove & CGP Gallery in London. An accompanying book will be published in autumn 2016. This exhibition is produced by FACT and is supported by an Arts Award from the Wellcome Trust. With additional support from University of Kent.